Park Regis Birmingham is a brand new upscale deluxe hotel offering 253 well-appointed guest rooms located in the heart of Birmingham’s City Centre. The hotel offers a modern and contemporary ambience with a boutique feel for all guests to enjoy. Corporate and leisure guests wanting fun, functionality, with a touch of indulgence, we have you covered. Park Regis Birmingham is a place you can relax and unwind between business meetings or after a long day of shopping or sightseeing with a flavour of the local culture in a contemporary manner. Situated on the famous ‘Broad Street’ Birmingham’s most dynamic entertainment destination, the premium location offers everything from intimate canal side bars, international club nights, to comedy and great restaurants. Just minutes’ walk from the Library of Birmingham and five minutes' walk from the exclusive Mailbox and Bull Ring shopping centers the hotel boasts convenient access to the ICC, Barclay Card Arena, Symphony Hall, Rep Theatre and Hippodrome also a short walking distance. The NEC, Genting Arena and Birmingham International airport is only 10 minutes by train, With Birmingham New Street a 10 minute walk and Five ways station on our door step ensure you are centrally located to all transport options. Park Regis Birmingham offers extensive conference facilities with a dedicated floor for meetings and banquets. Located on the 15th floor providing panoramic views of the city t the versatile space can accommodate up to 150 delegates within one of the suites. With 5 meeting rooms in total including a boardroom we are fully equipped for types of events, large and small. With additional space for refreshments and break out areas with a dedicated reception we not only offer excellent meeting space, but pride ourselves on quality service to make your event a memorable one. Visit Park Regis Birmingham website here. A food lovers heaven. Stay and Dine at the Park Regis Birmingham from only £129.00. Treat yourself to a night of relaxation at the Park Regis Birmingham with a SPA treatment in Shakina Spa followed by dinner in 1565 from just £198.00, based on 2 people sharing. 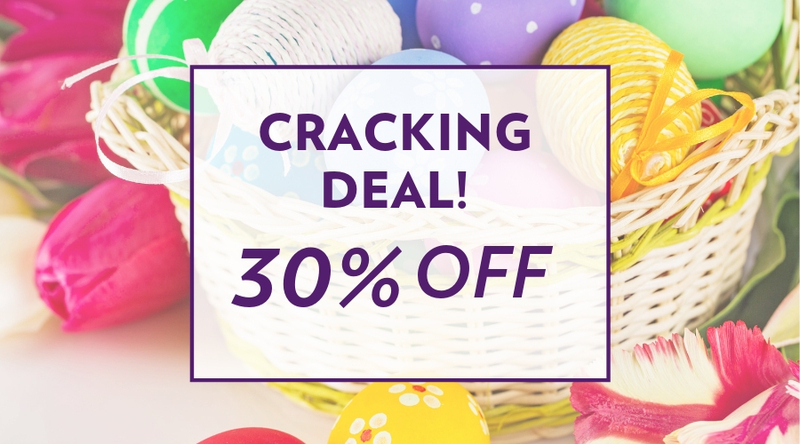 Enjoy 30% off our Bed and Breakfast rate when booking direct in April.